How can we design democracy so that it better fits Democratic Republic of Congo realities? Written by Lucien KYANGA DUNIA, the Vice President of Congolese Solidarity Campaign, South Africa-KwaZulu-Natal. “The Democratic Republic of the Congo (DRC) is now within the dictatorship, because the leaders want to hang on to power“. Democracy is considerably weakened rather than defending the rights and freedoms of the individual in the African countries. The state of democracy in Democratic Republic of Congo is one of the most controversial and difficult questions facing the country today. 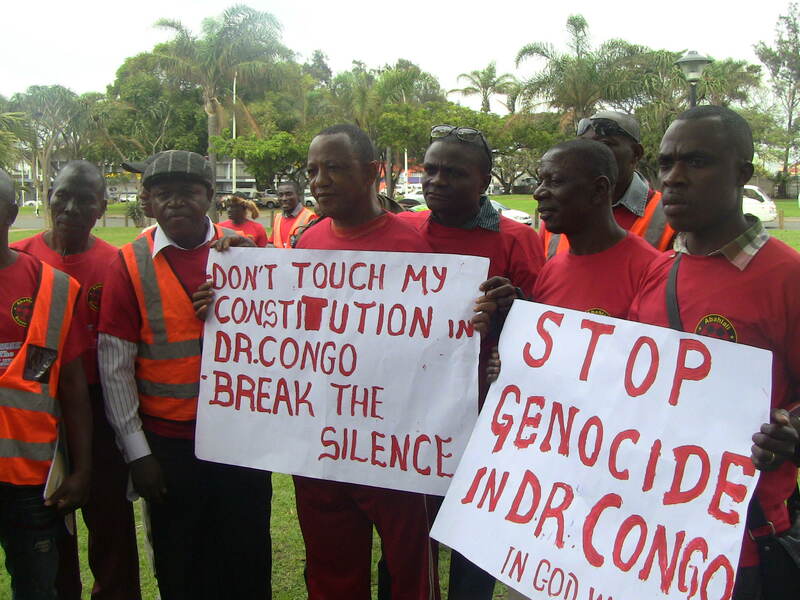 Is Democratic Republic of Congo getting more or less democratic? Democracy is “the government of the people, by the people “according to Abraham Lincoln, Democracy is therefore a political system where power is held by the sovereign people. It is based on principles such as the establishment of the rule of law, civic participation and respect for human rights. In Africa however, many states do not respect the rules of political pluralism, Human rights or fundamental freedoms. As a general rule, the countries that display the label “Democratic” in their name are not; starting with the Democratic Republic of Congo which has totalled 20 years since it became `democratic`. 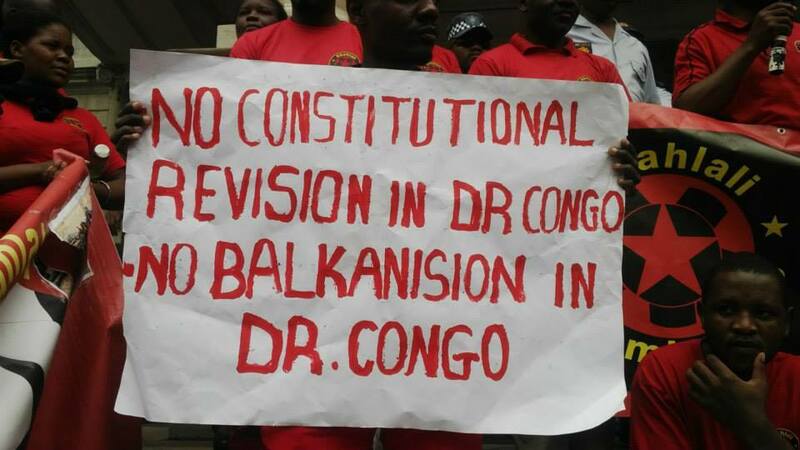 The Democratic Republic of Congo (DRC) is entering a critical situation since its democratic period, which began with a new constitution in 2006. In Democratic Republic of Congo, the Human Rights defenders, journalists, opposition leaders are getting arrested and killed unfairly by the government (eg: Floribert Chebeya’s body was found dead on June 1, 2010), and face persecution because the government does not want to be held accountable for corruption. Although constitutionally freedom of speech is guaranteed 🙁article: 23 All persons have the right to freedom of expression. This right implies the freedom to express their opinions or their convictions, notably by speech, print and pictures, under reserve of respect for the law, for public order and for morality). The country is characterized by political instability, torture, extortion, intimidation, sexual violence, injustice, oppression and use of child soldiers. Some regions have become a slaughter house, the populations are massacred, raped by people never identified. The country is a battle field between the government troops and populations groups. The populations reclaim their right of elections which the government in power ignores. Anyone who tries to come forward and speak out clearly, that person gets persecuted. Why now after the democratization of the D R Congo, the Congolese people do not fully enjoy their resources? Imperialist looting and barbarism have led hundreds of thousands of ordinary people to leave the country and become asylum seekers in many parts of the world and also in South Africa. The imperialists who operate from the City of London (UK) and Wall Street (Washington); continue to arm and sponsor different rebel groups through their agents and phony charities/ngos in the regions, ensuring a continuous political instability. Why is the Democratic Republic of Congo stuck in the murky middle- ground between democracy and authoritarianism? – Lambert Mende Omalanga : is the minister of communications of the Democratic Republic of Congo, was minister of information of Congolese Rally for Democracy(RCD)-Pro-Rwandan Rebellion committed the most serious crimes in D R Congo. – Roger Lumbala is an MP in the Democratic Republic of Congo, representing the Rally of Congolese Democracy and Nationalists. He is a former rebel leader who was backed by Uganda during the 1998-2002 Congolese civil wars; he has played a large role of supporting the rebels M23. – Mbusa Nyamwisi : was one of the founding members of the RCD, is suspected of misappropriating about 10 million dollars(mainly by allowing the exploitation of the natural resources of the area he controlled the militarily, but also exemption from taxes, etc. – Alexis Tambwe Mwamba : Congolese Minister of Justice and Human Rights. Today he is sought by the Belgian Government for a crime committed in D R Congo. – Olivier Kamitatu: Former Planning Minister in the government, he is founder of the Alliance for the Renewal of Congo (ARC) allied with RCD-KML. – Gabriel Amisi Kumba : known under the code ” Tango Four”, is one of the confidence generals of President Joseph Kabila; after almost two years of suspension for presumed arms sales to armed groups; a businessman, he has been quoted in several UN reports on the illegal exploitation of minerals (gold, tin…) by armed men. He also maintains militias in the Kivu and Maniema, in support of the FARDC. These are the reasons why our leaders want to hang on to power because they do not want be judged by the criminal court. Some of them today are designated by Congolese President Joseph Kabila as parliamentary members of the government and fact covered and protected by the new constitution adopted on February 18, 2006, work with freedom in the government whatever the horrible acts that they had led in the rebellions up today. How is it possible that the government covered with the perpetrators of crimes and who want to hang on to power, can be at the head of organizing the elections in D R Congo? According to the Constitution, article 64: All Congolese have the duty to oppose any individual or group of individuals who seize power by force or who exercise it in violation of the provisions of this Constitution. Any attempt to overthrow the constitutional regime imprescriptibly constitutes an infraction against the Nation and the State. It is punished in accordance with the law. The US government, International community, the European Union and African Union have the duty to play a key role in building democracy, the rule of law, peaceful and transparency transition of power in the country for Social democracy, accountability, transparency, good governance, and socio-economic human rights. 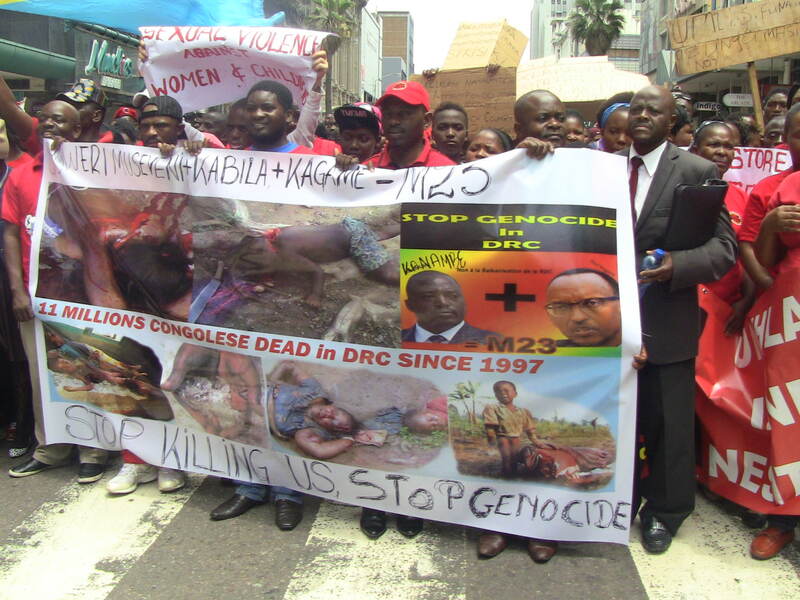 But to get there, President Joseph Kabila and its government need to be given a strong message for having violated the Rights of Congolese people before there is more bloodshed.